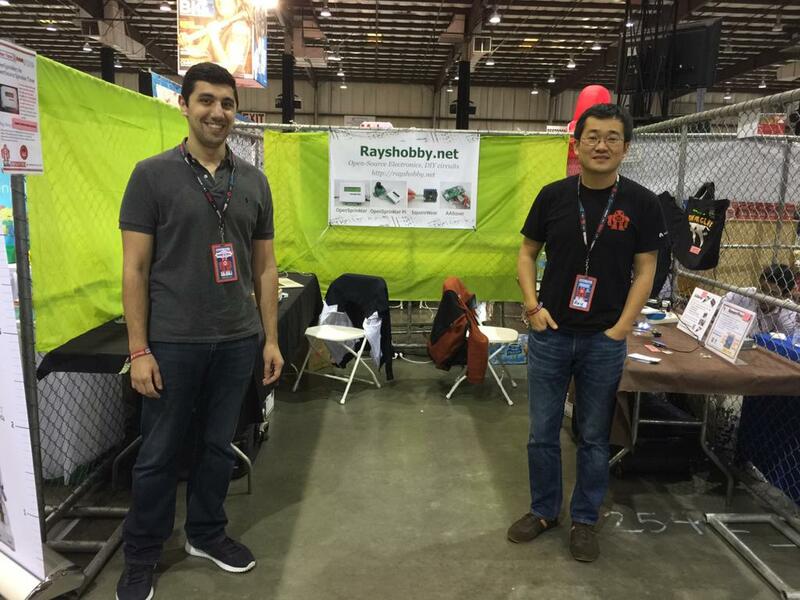 Just a quick update: we are at the Bay Area Maker Faire 2015, station 2, booth 2542 (next to the game of drones). This year Samer is also joining me at the booth, so it’s gonna be great 🙂 We are demonstrating OpenSprinkler, OSPi, OSBo, OSBee Arduino shield, as well as SquareWear, RFToy, ESPToy, AASaver. In addition, we are debutting SquareWear WiFi — the new version of SquareWear powered by ESP8266 WiFi chip. Check out the quick 10 seconds demo below. If you are at the Maker Faire, come to check our our booth! Very interesting project. Thank you for sharing. Good luck at Maker Faire.